United Scientific Group announces the first edition of International Conference on Obesity and Chronic Diseases scheduled during July 25-27, 2016 at Las Vegas with the theme ‘Discuss Link of Childhood and Adult Obesity to Other Chronic Diseases’. International Conference on Obesity and Chronic Diseases (ICOCD-2016) organized by United Scientific Group is scheduled on July 25-27, 2016 at Las Vegas. It aims to bring together academicians, scientists, dietitians, surgeons, physicians, students and other health care professionals from educational institutes and research organizations across the globe; making the conference a perfect platform to share experience and foster collaboration. The conference is focusing on to “Discuss Link of Childhood and Adult Obesity to Other Chronic Diseases”. 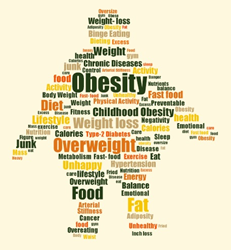 Underlying the theme, we have a series of eminent researchers to share significant knowledge to the current understanding about all aspects of obesity and the related chronic diseases. ICOCD-2016 features Prof. Reza Hakkak (Organizing Committee Chairman of ICOCD-2016) from University of Arkansas for Medical Sciences (UAMS), US to deliver a keynote lecture on “The Role of Obesity and Gut Microbiota on Cancer Promotion”. Prof. Hakkak is a well-known nutritionist and researcher, who is also the Chairman of the Department of Dietetics and Nutrition at UAMS. The other featured speakers include Dr. Kazuwa Nakao from Kyoto University Graduate School of Medicine, Japan; Dr. Carolyn Dunn from North Carolina State University, US; Dr. Victor Romano from Johnson C. Smith University, US; Prof. Christopher Jenkinson from University of Texas Rio Grande Valley, US. The highlight for this summit is a special session on “Nutrition and Obesity Grant Opportunities through USDA and NIH” by Dr. Deirdra N. Chester from National Institute of Food and Agriculture, US and Dr. Tanya Agurs-Collins from National Cancer Institute/NIH/DHHS, US. An interactive symposium on “Molecular Medicine and Functional Genomics of Energy Metabolism and Chronic Diseases” by Prof. Jonny St. Amand from University Laval, Canada will discuss in detail the genetics of Obesity. Las Vegas, internationally renowned major resort city is famed for its endless entertainment options, buzzing energy and 24-hour casinos. The city of light is the leading cultural and financial center for Southern Nevada. Las Vegas, an ever-changing fantasy-land of a city, has seen unbelievable expansion since it emerged from the desert over 100 years ago. Roller Coasters, World Renowned Art Exhibits, Spectacular Thrill Rides, Museums, the Mirage Volcano, the Paris Las Vegas Eiffel Tower, the Bellagio’s Dancing Fountains, the Stratosphere Tower, are just a few of the many attractions the City of Las Vegas has to offer! Red Rock Canyon National Conservation Area and Grand Canyon National Park offers enticements of a different nature including scenic drive, hiking trails, rock climbing, horseback riding, mountain biking, road biking, picnic areas, nature observing and visitor center with exhibit rooms and a book store. The viewpoints are heart stirring and mind-boggling. The Las Vegas Strip, the most exciting place on Earth is a must visit.